Last Christmas I received a number of great beer-related gifts, including a set of Spiegelau Beer Connoisseur glasses that I use all the time. 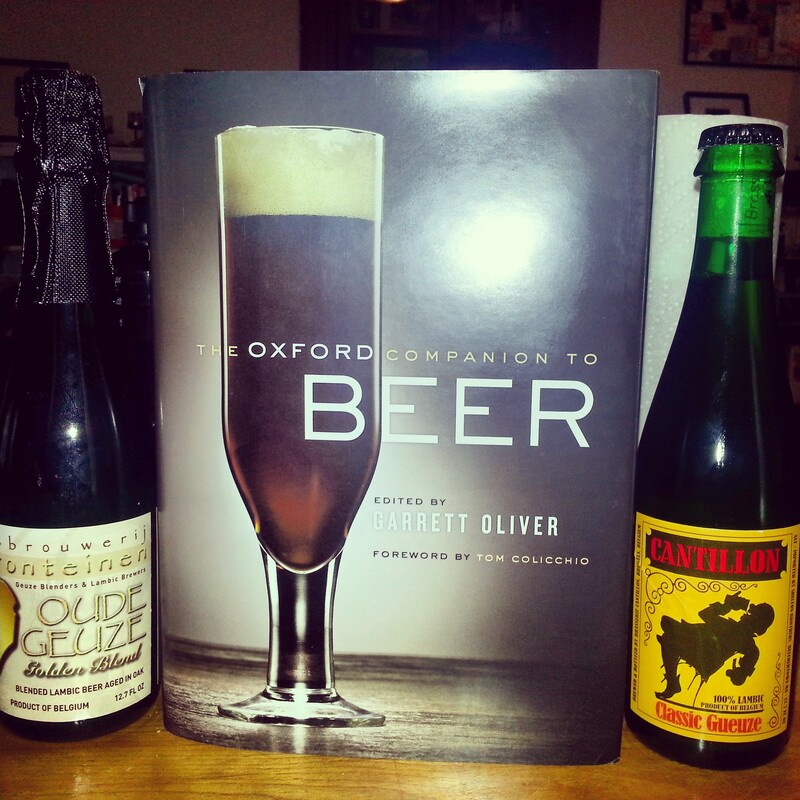 But the gift that I’ve got the most from is The Oxford Companion to Beer. The book is an amazingly in-depth encyclopedia-like tome with information on just about everything you could ever want to know about beer. I consult it constantly, to clarify beer terminology, do research for posts on this blog and much more. The Oxford Companion to Beer is edited by Brooklyn Brewery Brewmaster Garrett Oliver. But it’s composed of writings from more than 165 beer experts from more than 20 countries. And though some entries go into painstaking detail, the majority of the book is easy to read and understand. And it’s organized alphabetically so it’s easy to look up whatever beer, brewery, brewing method or any other term you’re interested in. The book doesn’t come cheap, with a cover price of $65. But it’s worth the money, in my opinion, and you can find deals on The Oxford Companion to Beer online at sites like Amazon.com, which currently sells the hardcover version of the book for $38.40 plus shipping and the digital Kindle edition for just $19.24. I highly recommend picking up a copy. I’ve read a number of books and articles on beer and brewing, but The Oxford Companion to Beer is by far my favorite.